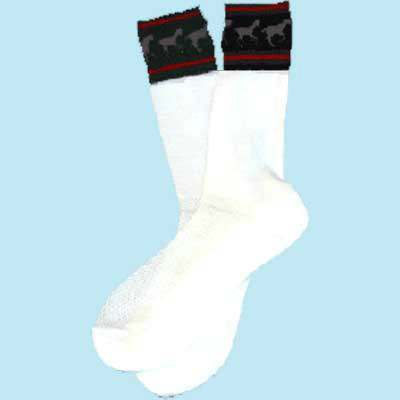 The Navy Top Ladies Sock features horse design at the top. The sock is built with thicker foot for comfort with the mid calf sock featuring a mesh to keep cool. The sock is made with acrylic yarn for moisture wicking.